It must be somewhat surreal taking a call from a player who, as a ballboy on the touchline at the Etihad Stadium six years earlier, you had watched score a header against bitter rivals Manchester United to secure a famous 1-0 win that would go a long way towards helping Manchester City win their first Premier League title. But shortly after United’s shock 1-0 defeat by West Bromwich Albion last April had handed City their third title in seven seasons and first under Pep Guardiola, Phil Foden’s phone started ringing. It was City’s jubilant captain Vincent Kompany wondering if his young team-mate wanted to join the first team celebrations at the Railway pub in the Cheshire suburb of Hale that evening. Foden was as thrilled by the call as he was with City’s coronation as champions and winning, at 17, a first Premier League winners’ medal. But the midfielder had to politely decline the invitation. He had already promised to go night fishing with his dad, Phil Sr – one of their favourite past-times – and wanted to honour the arrangement. It was a moment that nicely summed up this unassuming, down-to-earth teenager who might just be the most promising English talent to emerge since Wayne Rooney and who a global audience should get a fuller look at tomorrow afternoon when City face Chelsea in the Community Shield at Wembley. Foden is in contention to start after a series of impressive showings on tour in the US culminated in a man-of-the-match display in the 3-2 International Champions Cup win over Bayern Munich and reaffirmed why he passed on the chance to play in the U-19 European Championships with England this summer. 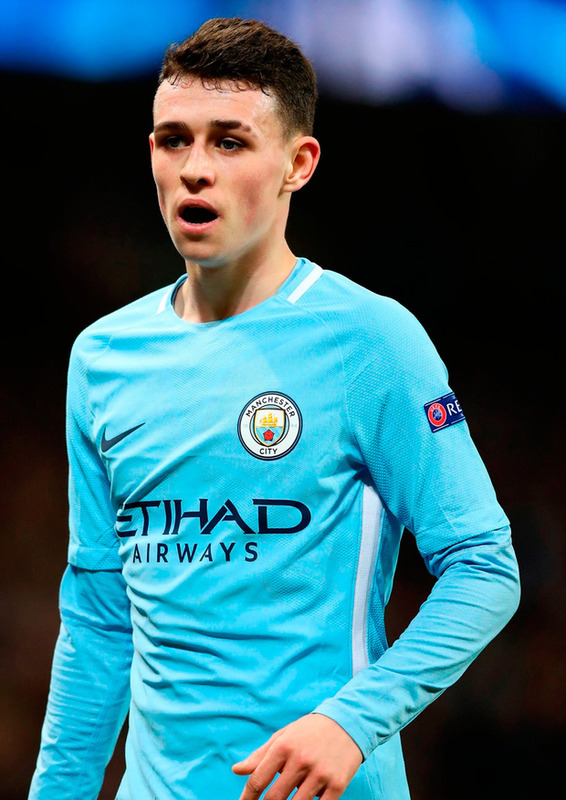 After 10 appearances for City last season, when he also inspired England to glory in the final of the U-17 World Cup with two goals against Spain en route to being named player of the tournament, the forthcoming campaign could present so many possibilities for a player Guardiola has already described as “a gift”. Having turned 18 only in May, there is a recognition that Foden has plenty of time on his side, but it is with good reason that staff at the club refer to him as the ‘Stockport Iniesta’, given his similarities to the former Barcelona maestro Andres Iniesta. City’s senior players have their own nickname for Foden – “Pep’s lad”, a nod to the affection and admiration the manager has for him. David Silva and Sergio Aguero also know talent when they see it and have taken Foden under their wing and been particularly good at imparting advice. A reflection of the esteem in which Foden is held came towards the end of last season when a champion freestyler was invited to City to show off his tricks and challenge a first-team player to a battle. The squad wasted no time in volunteering Foden to go up against him and then watched their team-mate crush his humbled opponent 3-0 with a dazzling repertoire of skills amid plenty of whooping, backslapping and knowing nods and laughs from the assembled crowd. In June, Foden was picked by the revered British designer Kim Jones, the artistic director of Christian Dior and formerly of Louis Vuitton, to showcase a special new line of Nike fashion wear. Jones could have chosen any footballer but plumped for Foden, although this is not a footballer whose head will be easily turned. The day after City won the league, he was back in Edgeley, Stockport, where he grew up, playing football on a familiar patch of grass with his best friends, a story that evokes memories of Wayne Rooney having a kickabout with mates near the garages outside the home of his future wife, Coleen, hours after scoring that 25-yard thunderbolt for Everton against Arsenal as a 16-year-old in 2002. For years, Foden has been coveted by Europe’s biggest and best clubs, from Barcelona and Real Madrid to Juventus and Bayern, but as a lifelong City fan, his ambition has always been to stay and thrive at his local club. It just so happens that club is the best in the country.